Extend your compassion beyond your lifetime by making a legacy gift to the Vancouver Humane Society. Canada’s tax laws encourage donations to charities by providing tax credits to donors that reduce the amount of tax their estate will have to pay. 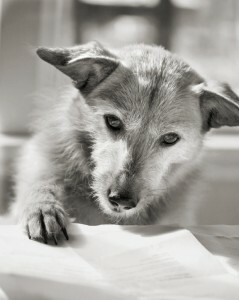 We hope that you’ll consider including a gift to the Vancouver Humane Society in your will. VHS depends on bequests for approximately one-third of its revenue each year. In fact, it was a bequest that provided the means to hire program directors rather than relying on one underpaid employee and overworked volunteers to manage the many issues that animals face in BC. This has meant a huge boost in productivity – the successes we’ve had are many. But our future is still dependent upon the generosity of those who think ahead, beyond their lifetimes, when the animals will still need their help. Your gift can be made as a percentage of your estate. Or you can make a specific bequest by giving a certain amount of cash, securities or property. After your lifetime, the Vancouver Humane Society receives your gift. Simplicity: Just a few sentences in your will are all that are needed. View official bequest language for the Vancouver Humane Society here. Many donors are choosing to give investments to VHS. When donors sell an appreciated stock, they are required to pay a certain amount of tax on the capital gain. However, if they make a donation to VHS, thanks to the new tax rules introduced in the 2006 Federal Budget, they are exempt from capital gains tax. Donors then receive a tax receipt for income tax purposes, based on the full market value of the securities at the time of the transfer. To donate a stock certificate (whether it is in paper form or in a brokerage account) you need only sign a Letter of Authorization to transfer the shares. Once the stock is received into the VHS brokerage account, the value for the shares will be determined as of that date for preparation of the tax receipt. To contribute appreciated publicly listed securities, contact your broker today, or call our financial planner, Nadia Abdel-al at RBC Dominion Securities at 604-678-5553 (email:nadia.abdel-al@rbc.com). Life Insurance: Donors can name the charity as the beneficiary of a life insurance policy, and receive donation receipts for insurance premiums paid. The proceeds of the insurance policy will pass directly to the charity and avoid probate fees. RRSPs and RRIFs: These funds can be left to charity and the resulting tax credit can offset the tax payable on them at the end of the donor’s life. Trusts: Here is an illustration of how this type of gift can work: A donor irrevocably transfers a sum of money to a trust which is structured to pay income from the sum to the donor for the remainder of her life for living expenses. At the end of her life the trust transfers the sum to the charity. The donor can receive a tax receipt at the time the trust is established for the present value of the gift. You can provide instructions on the type of charitable work you would like your gift used for, or you can leave it to the VHS Board to decide where the greatest impact can be made. VHS also has a fund with the Vancouver Foundation (the VHS/Norma Berridge Fund), the income from which helps support our work. Contributions to this fund are greatly appreciated. Gifts can be celebrated publicly or received without any fanfare or public attention, depending on your preference. If you would like to discuss any of these options, VHS can arrange for you to meet with a charity lawyer who works with us. You should then speak with your own lawyer and financial advisor to implement your plan.